If you would like advice on your training, I wrote about things to consider in your everyday ballet training regime here. 7:30 am – My alarm sounds! 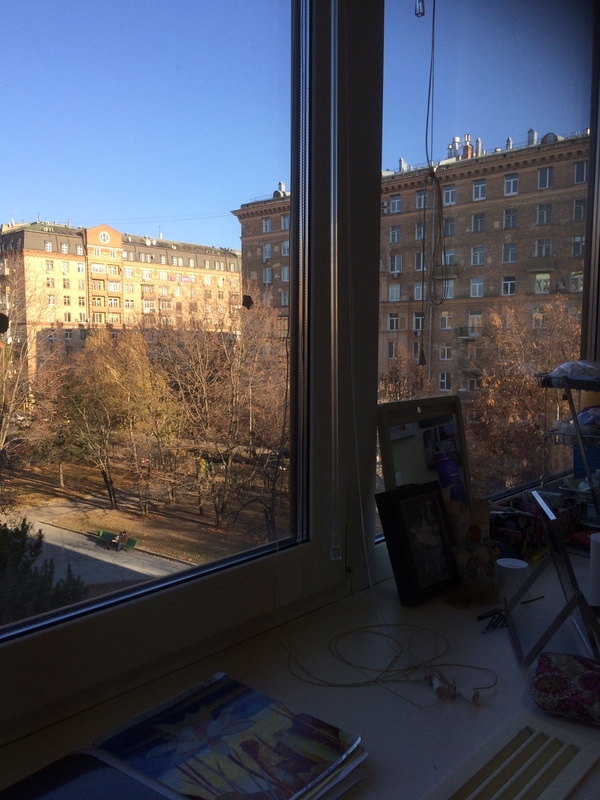 Although most mornings you can’t see much due to the heavy morning darkness in Moscow for most of the year, I have quite an encompassing view of residential Frunzenskaya from my window when I wake up. I prepare for classes and have a good breakfast as I’m not sure when I’ll have chance to eat again during the day. 9:00 am – Russian language. The first class of the day is Russian language in which we focus on grammar and language skills required for the State Russian exam – this we take at the end of this year and are then classed as proficient! Consequently, this is the last year I will have a formal Russian class, however, all our classes are in Russian so there’s never an end to our learning! 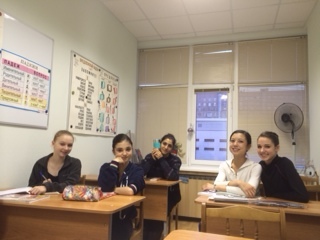 With my friends in Russian class! 9:50 – Double academic or acting. Almost all our morning classes this year are academic, with the exception of acting twice a week; the Second Course acting class sees us studying the ways of portraying feeling through classical dance, as opposed to everyday movement, and we are currently working on specific scenes from ballets, such as Giselle. Today is academic, however, История театра (history of theatre), in which we are following the development of Russian theatre, from its Pagan beginnings, through Russian Classicism, until our most recent topic, the famous Pushkin. Other subjects this year include history, history of ballet, history of the world and culture, maths, science, geography, IT, citizenship. The next class is always ballet, which I spend an hour warming for. I have a set warm up routine which I previously posted here. I base my warm up on the need to articulate the joints, stretch and strengthen my abdominals and back. We have ballet class every day – six days a week. Class starts with a full barre which last about three quarters of an hour, followed by centre work and finally allegro. Our teacher, Natalia Igorivna Revitch, often adds pointe or repertoire at the end as well. We are currently practising the Clock Dance from Coppelia and have already worked on variations such as Bluebird from Sleeping Beauty, Dulcinea from the Dream Sequence in Don Quixote, the first Paquita pas de trois and the Giselle first act solo. The Russian training focuses a lot on flexibility and turn out; at nearly two hours long, it is a strenuous class that has increased my stamina and mental endurance noticeably since I started here at the Academy. Having ballet class in the middle of the day is a bit inconvenient for lunch – but I tend to eat a light meal either just before or after the class and make sure I have a healthy snack at least a couple of times during the day to keep up my energy levels! We have duet class twice a week. In duet, we practise set routines and lifts such as the classic ‘shoulder-sit’ and Bluebird lift. I have a regular partner, Andrei, who I’ve been dancing with since last year. By now I feel we have improved our coordination and work well together- a factor that is so obviously required in duet, and yet quite difficult to cultivate! We also sometimes have to use our duet slot for rehearsals, depending on what productions are scheduled. In character class, I feel as though we are learning character from a new light; our teacher, Tatiana Vitalyevna, trained at the formidable Moiseyev Folk Dance School and she is determined to instil in us correct and clean technique. She is drilling a basic few barre exercises into us every lesson to strengthen us and improve our character knowledge, while also working on various group pieces, for example, the Fandango from Don Quixote. Sometimes rehearsals are held earlier in the day but this is the favourite slot as most classes are finished. So far this year we’ve had rehearsals for the annual production, La Fille Mal Guardee and a character festival. I’ve been rehearsing variations with my teacher, Revich, including Gulnare from Le Corsaire and the Spanish from Paquita. After a very full day, I get to eat something, get showered, do some homework or FaceTime home! This is relaxation time for me – I plug in my earphones and listen to my favourite music while stretching out – see my work out here. 10:30 – Lights out, plenty of sleep, ready for the next day! If you want to know more about the Academy, how to apply etc. read my post here on tips for international students thinking about training here. Thank you, Mike – that’s really kind of you! I was so pleased to be featured in the annual ball programme – what an honour – thank you! very very interesting – thank you so much for sharing this with us. So interesting to note the emphasis on expressing feeling in the acting class. The Russian productions are always so much better “acted” – you feel the whole cast is totally immersed in the story – makes such a difference. Also learning and studying Ballet and Dance History so important to understand classical ballet properly. Also interesting that you get to work with one partner for duets most of the time. Thank you – dont know how you find the time – but it is appreciated. I am 14 at the moment and train at my ballet school every day along with the Royal Ballet associates very Saturday. 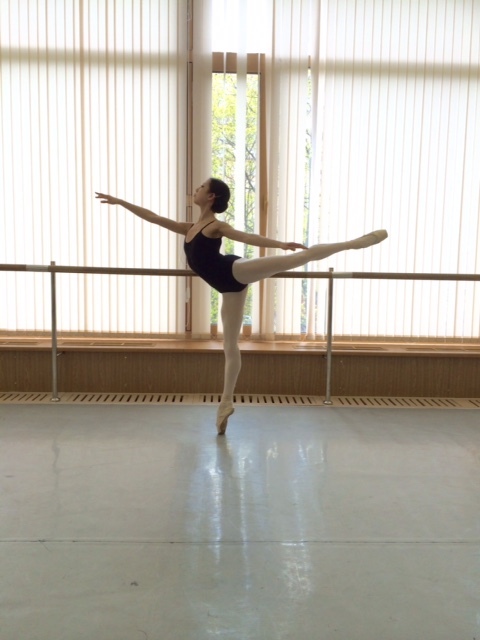 My school offers the vaganova training and I really enjoy it. My number 1 dream is to dance in Russia in a company and/or the school. I just wanted to ask, how did you prepare for your bolshoi academy audition/how many hours were you dancing a week.